Next year will be Lee’s fourth year working for the Collegian. Collegian file photo. 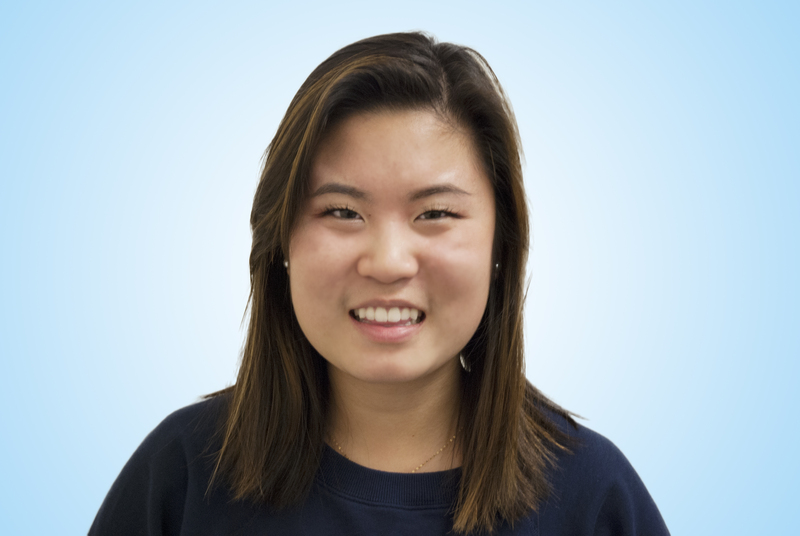 Dana Lee, a junior journalism major, will be the next editor-in-chief of the Butler Collegian. She will replace the current Editor-in-Chief Alexis Price. Lee has worked for the Collegian every semester, four as a sports reporter and now two as sports editor. Additionally, she has completed all of her requirements for her journalism major except one course she is taking in the fall and one course she is taking in the spring. The selection process, which two candidates went through this year, consists of writing a platform detailing future goals for the newspaper, a presentation to the staff and an interview with a panel that included the current editor, a former editor and two professional journalists from Indianapolis. One of Lee’s main platform points during the selection process was the creation of a digital team for stories to post all week as opposed to just Wednesdays. She also hopes for on-campus beats for news reporters and a strong balance between professional and personal goals of all reporters. Her biggest goal for next year is to make the Collegian the go-to news source for all Butler-related news and to challenge the other Indianapolis news competitors when it comes to the university. Lee will officially take on her new role at the end of this semester.